Scroll down for the newest listings of homes for sale in 78231. Use the Advanced Search feature to search all listings in this zip code. Homes for sale in the 78231 zip code are located in the cities of San Antonio and Shavano Park, Texas. Popular neighborhoods and gated communities include Castle Hills, Huntington at Shavano, Oak Meadow, Shavano Park, and Summerfield. With real estate for sale ranging from the low $200,000s in Summerfield to over two million dollars in Huntington at Shavano development, there is a wide range of price points in 78231. But most of the housing market caters to the affluent luxury buyer, and most planned communities offer desirable amenities to match. Convenient to Loop 1604 and IH-10, this desirable zip code about 12 miles north of downtown San Antonio encompasses about 4 square miles of land. The area is home to about 8,000 residents who have an adjusted gross income is about double the state average for Texas. Incomes and property values are significantly higher in Shavano Park than the rest of the zip code. Houses for sale in 78231 tend to be larger than the surrounding areas, and in 2015 the estimated median home value was nearly $625,000, almost triple the value from 2000. 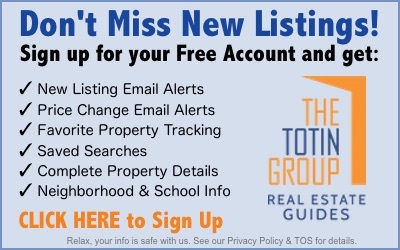 If you’re looking for luxury homes for sale in north San Antonio, Contact the Exclusive Buyer Agents at The Totin Group at eXp Realty at (210) 872-8888 to enjoy concierge home-buying services from experienced real estate professionals. The 10 most recent listings of real estate for sale in 78231 are shown below. Use the Advanced Search feature to search all listings in this San Antonio, Texas zip code.